We produce high -quality Souvenir Programmes for our 2 major events during the year. 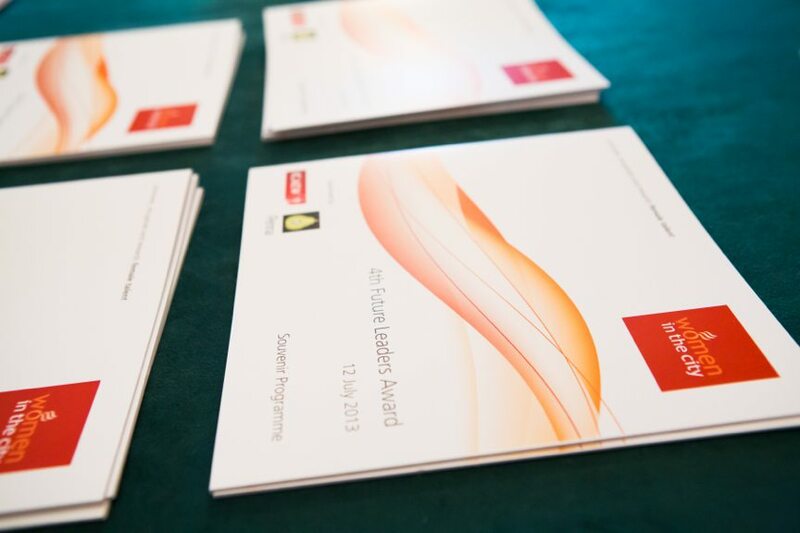 The programmes are handed to every Guest (Lunch 250+), Future Leaders Award Ceremony (120). Copies are also available online throughout the year. Our Souvenir Programme’s finished size is 210 x 210. For an additional fee we can design your advertisement for you. Take a whole page advertisement in the Souvenir Programmes for both the Future Leaders Award Ceremony (June) and the Annual Celebration Lunch (November) for a combined price of £500 +vat. Please email or call Women in the City on 0704 404 7497 to discuss your needs.